into our new home. I'm really happy that the family is finally together again. 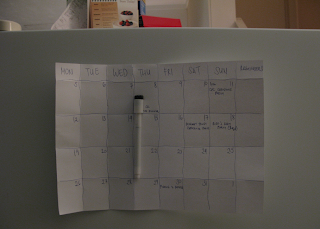 so I hand made the calendar instead. for. Our non negotiable: we'll do this only if the family can be together. many broken OFW families. Refuse to be a statistic! continue to pray for His blessing, guidance and grace. evenings so that I can take care of M during the day.